Today is finally the day when the Summer Olympic games kick off in London with the huge opening ceremony, but something almost equally huge for British techies is the Olympics-inspired edition of the hottest Android phone, the Samsung Galaxy S III. 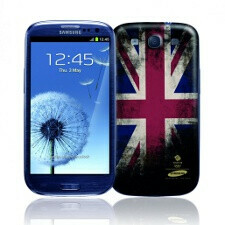 The Team GB version of the Galaxy S III is arriving in time for the big start at UK’s largest tech retailer, Carphone Warehouse. We’ve actually already seen similar designs on the Olympic edition of the Samsung Galaxy Note. One of the versions features the union flag on the pebble blue back of the SGS III and the other one has the Great Britain’s team lion on a white Galaxy S III. The two devices will actually hit shelves at Carphone Warehouse on August 1st along with the standard pebble blue and marble white Galaxy S IIIs. London – 27 July 2012, Samsung, Worldwide Olympic Partner in the wireless communications equipment category, has today announced the release of its limited edition, London 2012 Olympic Games Samsung Galaxy SIII handset. Customers are being given the chance to show their support for Team GB with this exclusive, limited edition Galaxy SIII handset available, only through the Carphone Warehouse. 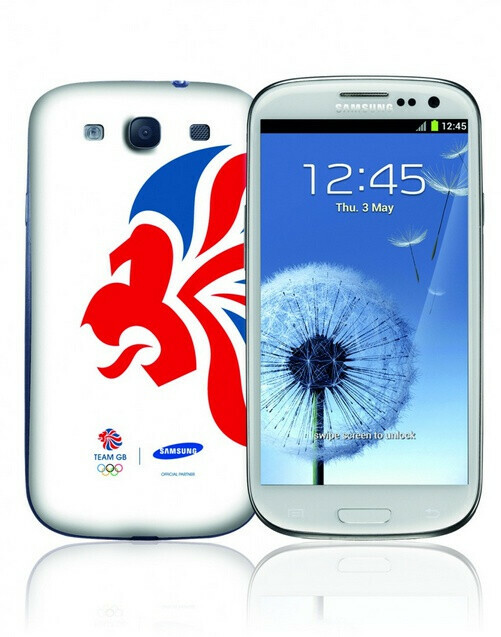 Available in Carphone Warehouse stores and online from 1st August, the London 2012 Samsung Galaxy SIII comes with an iconic Team GB cover as well as an original cover, allowing customers to convert their phone back to its original design at any point. The handset will be available for free from £28 per month, with tariffs available on Vodafone, Orange, O2, T-Mobile, Talk Mobile and Three networks. The London 2012 Samsung Galaxy SIII will be available in stores nationwide, online at www.carphonewarehouse.com or by calling 0800 925 925.